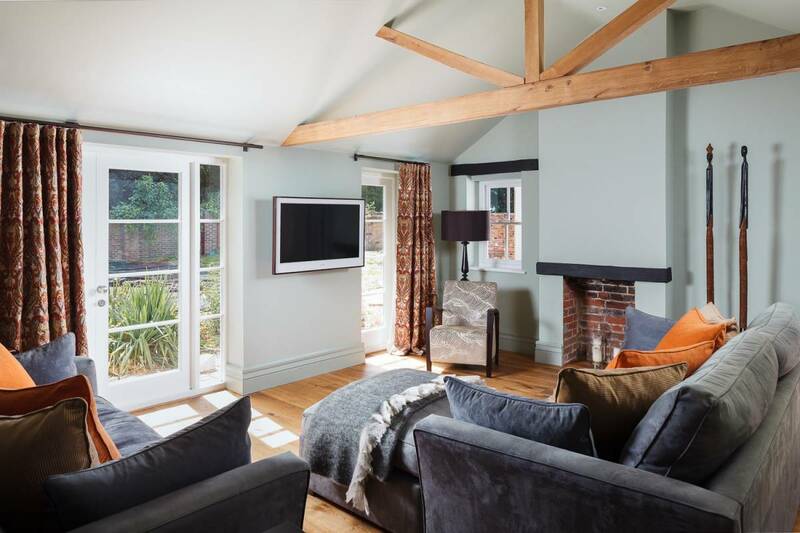 Two years in design and production completely paid off for Catherine and her stunning home in Kent. 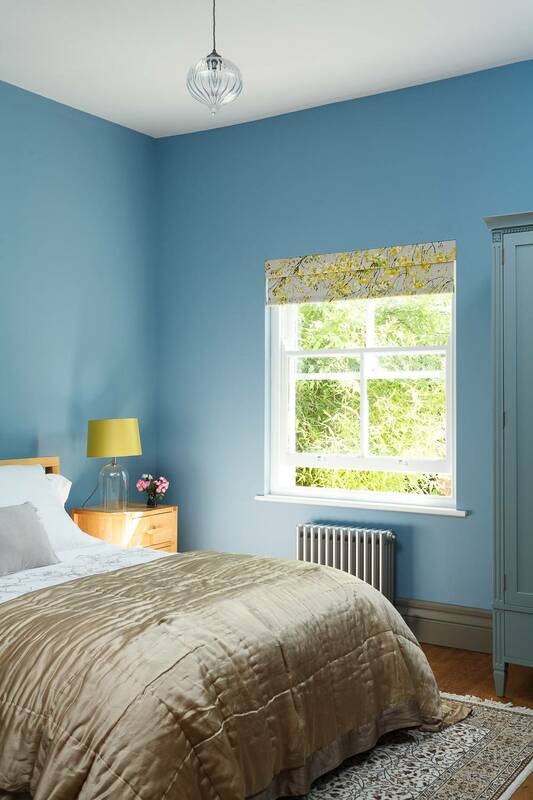 She fell in love with the location and style of the old coach house with walled garden but knew it needed some major work to get it exactly how she would like it. 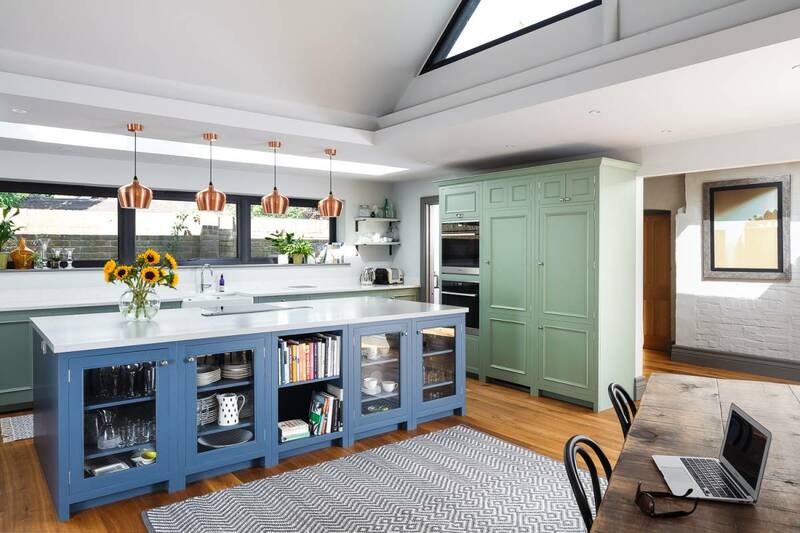 Not only were the interiors to change but we worked alongside the architects on major stuctural renovations to add the new kitchen space, joining the old building and outhouse together to create one large space, flooded with light. Catherine was clear that she wanted her home to have colour that suited that setting but still packed a punch. 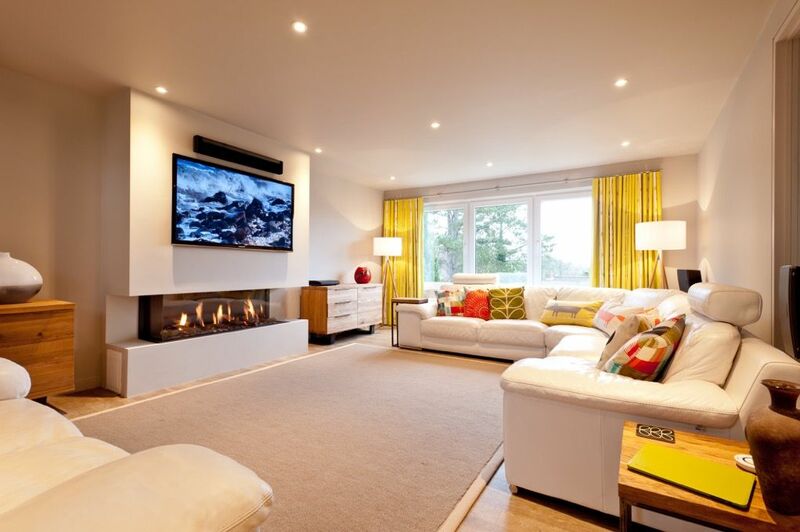 She loves warm and cosy interiors and ones that are great for hosting her family. 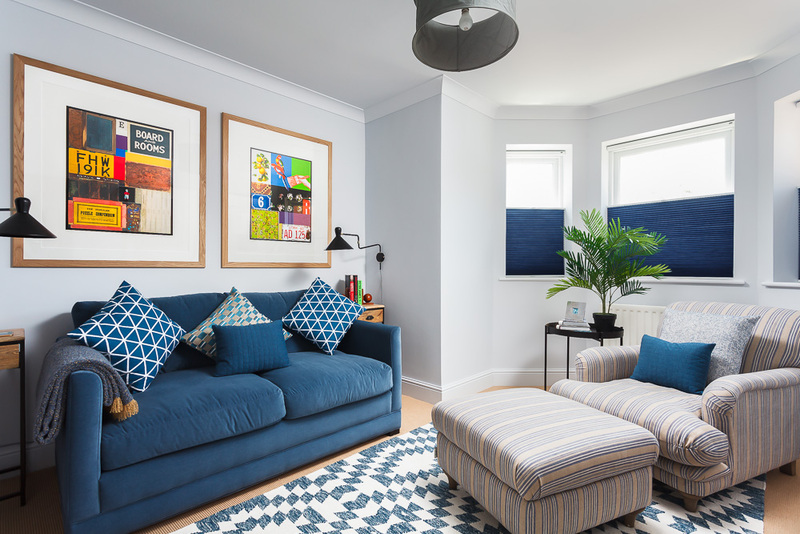 Although the renovation was to totally update the house, she was keen to keep a sense of character through the interior design of the space. 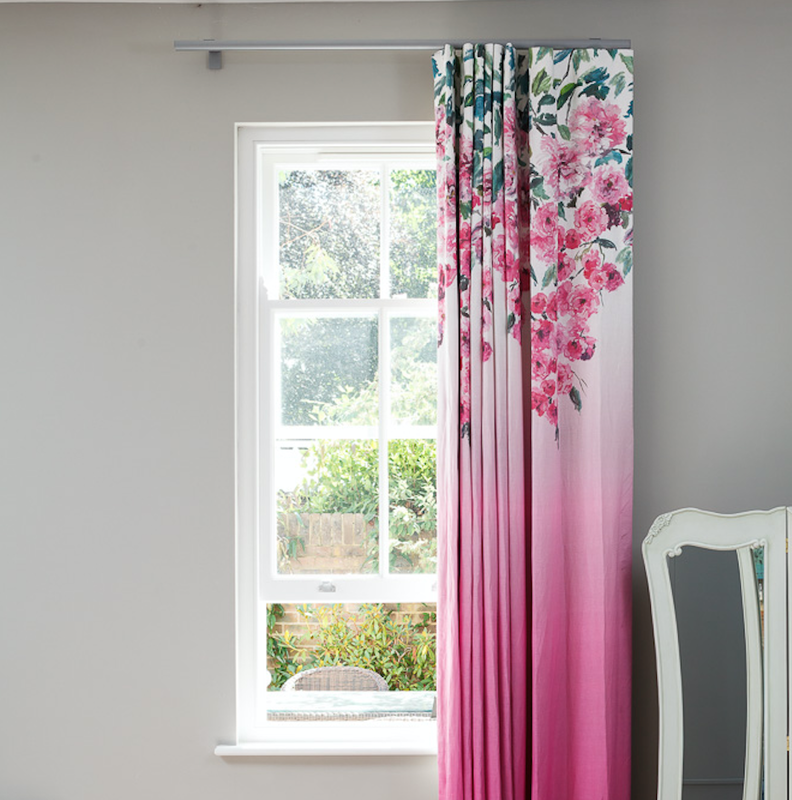 The whole aspect of her home is focussed on the garden, with the living room furniture arranged to look outside and colours to blend in with the changing seasons. Drawn to French style kitchens, Catherine also wanted to add modern functionality and ease of use to the kitchen. Open shelves are used throughout to have every day items in easy reach, and prevent the need to constantly be opening doors. 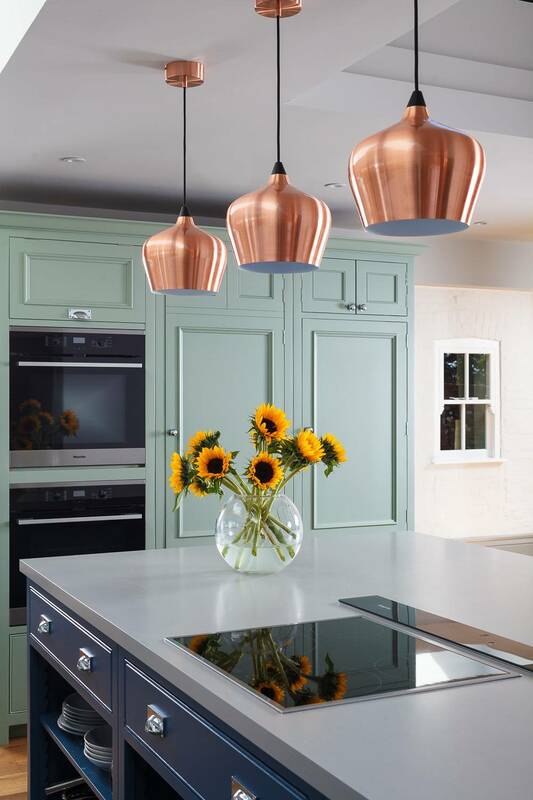 Copper, Marble, Corian and Wood all combine to make a rich and luxurious mix of materials throughout the whole kitchen space. The scheme continues in to bathrooms. 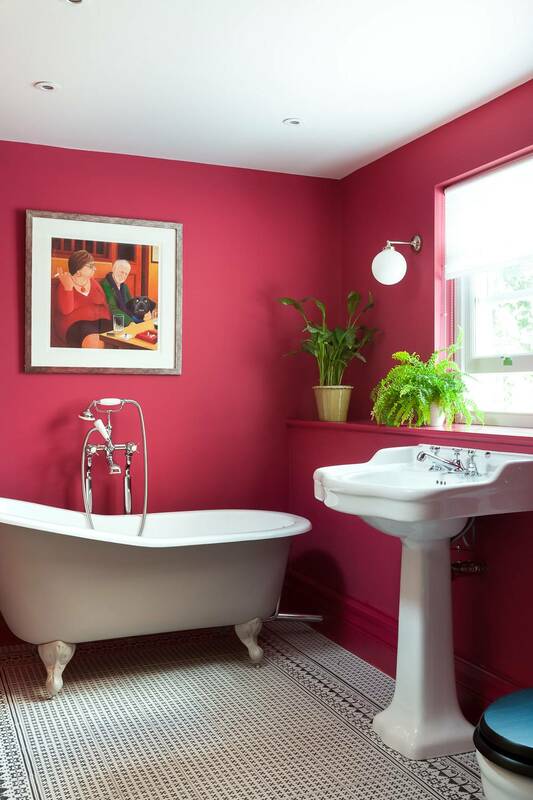 The family bathroom has been designed in a beautiful deep pink with feature roll top bath and patterned floor tiles. 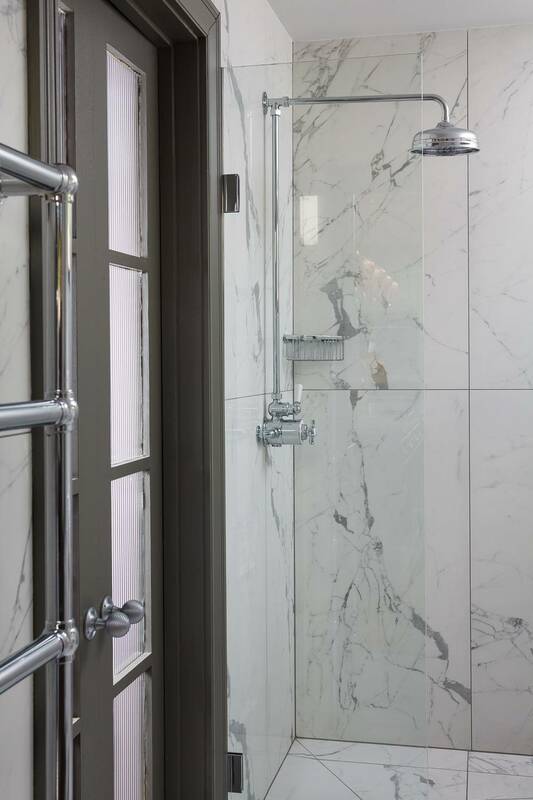 The large scale marble tiles and traditional shower fittings marry the modern functionality of the wet room with the classic style of the building beautfully – a perfect mix of old and new!